If you desire a Zite or Flipboard type experience on your laptop/desktop. Feedly is probably your answer. 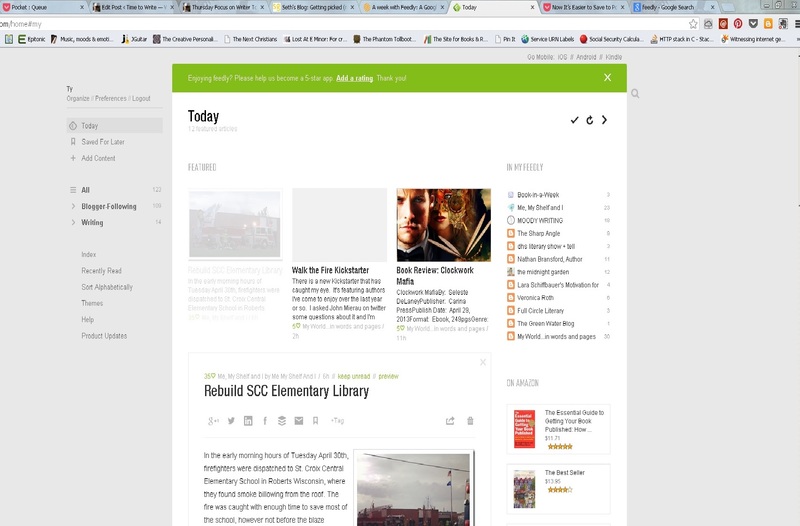 Feedly is essentially a user created magazine based on your subscription to rss feeds. But, it is better! You can easily find content based upon your subject interest. And, tying back to my article a couple weeks ago about Pocket, you can save articles in Pocket, Evernote, delicio.us, and instapaper. For Social, there are the typical G+, Facebook, Twitter, LinkedIn, its own “Save for Later” and e-mail. You can easily create collections of blogs that you like to follow. Especially those outside of WP (ahem, Blogger, Typepad, LiveJournal) if they have an rss address. Usually under the symbol below. 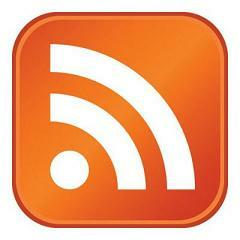 Sometimes the content isn’t available within Feedly when you paste in the rss address. I’ve found the majority of popular blogs available. I would recommend trying out as many of the tools as you can so you can pick the one right for you. I use Zite and Feedly. Until next week…keep improving your quiver of tools. Today is Thursday. That means…Writer Tools! Well, I’m excited about it even if you aren’t. Today we talk a little bit about “Pocket” http://getpocket.com. Pocket is one of the many utilities for capturing web content for future perusal. I’ve used http://delicio.us, and currently also use Evernote’s web clipper. I like to use Pocket for quick capture. I may move the content over to Evernote later if I know I want to use the information. There is not concept of folders in Pocket, but there is the more modern method of “tagging” to organize your content, which is really much more powerful than folders. Give it a spin. I’ll review Evernote some other Thursday.